My name is Sierra John (Oneida Nation & Pueblo of Santa Clara), and I am happy to have the opportunity to work with the Coalition to Stop Violence Against Native Women (CSVANW) as a practicum intern for the next few months. 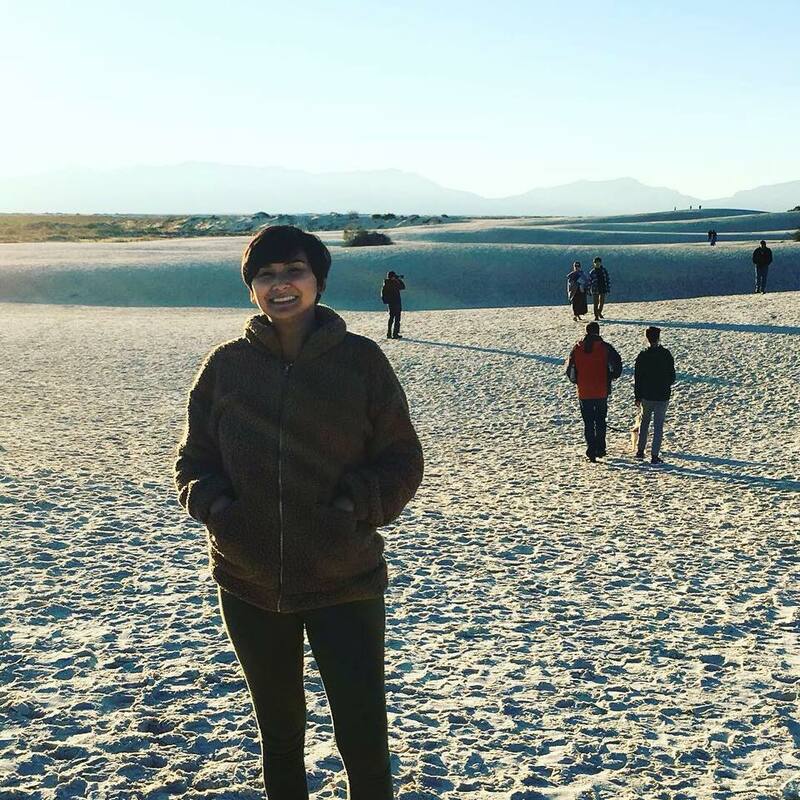 I recently moved to Albuquerque from Columbia Missouri where I attended the University of Missouri and received my Bachelors in Health Sciences and Psychology, and am currently in my last semester of my Masters of Social Work program. My emphasis is in Policy, Planning, and Administration and my personal passion and long-term goal are to work with Native communities. As an individual that has worked and at times lived in a native community, I know firsthand how vital advocacy and education around domestic and sexual violence is for native communities. 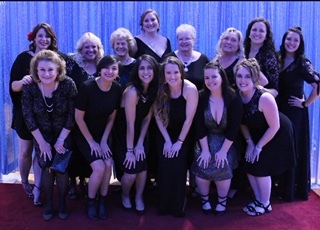 Sierra with the True North staff at the Little Black Dress Gala. 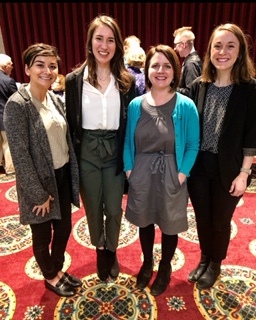 Sierra and two other members of her MSW cohort meeting with Martha Stevens, a Missouri House Representative and also a fellow University of Missouri MSW alum, at the Missouri State Capitol. That day they were meeting with House Reps. and Senators to advocate for stronger gun laws and restrictions for individuals who have been criminally charged for domestic violence. Over the past year, I had the amazing chance to work at True North, a local comprehensive domestic and sexual violence victim service program, where I worked as a case manager at our women’s shelter and a DV/SA victim’s court advocate. I am incredibly passionate about ending the cycles of violence that happen too often in our communities. CSVANW’s mission and goals align with my very own passions, which is to build stronger and healthier native communities. Working with CSVANW continues to empower me to become a more powerful change agent to work with Native communities and advocate for necessary state and tribal policy reform. Fun Facts: You can usually find me with a hot cup of coffee, listening to a podcast or audiobook. Big fan of cats.